Our family just finished March Break. By March Break, I don't mean the adults got a break, but the kids certainly did. We juggled work with play, and relished in not having to pack lunches everyday. It was busy, but so nice to just let the kids play. No structure, no interruptions. Just good, old-fashioned play. They needed it. But... that left me feeling sluggish at the end of the day and ready to "Netflix and Wine", so here are my suggestions for you for March Break. Curl up and relax, March Break or none, these are must-see/must-sip combinations. All of these wines can be found at the LCBO if you're in Ontario. If not, many of these are available across Canada and the USA. 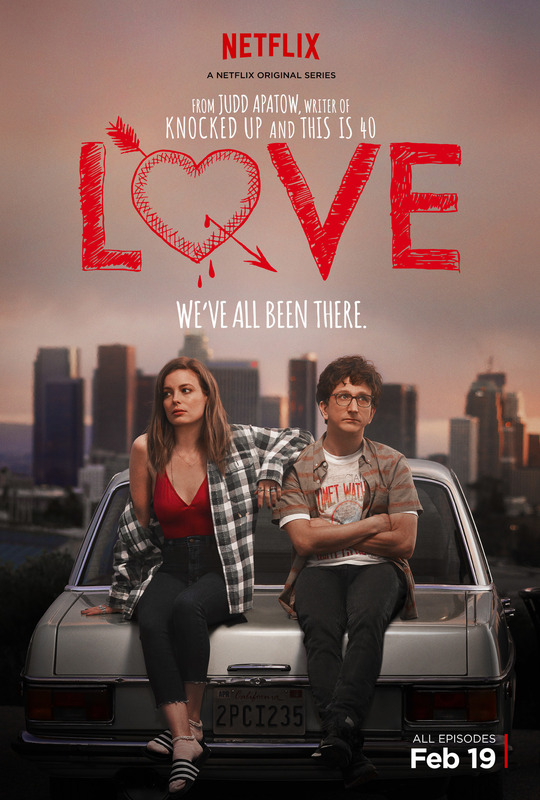 A new comedy by Judd Apatow that continually weaves the lives of Gus "somewhat geeky nice guy" and Mickey "whild child and addict" as they stumble through friendship, and the insecurities of love. Pair it with the aptly named and slightly sweet Love by Sandbanks. Pale salmon in colour; aromas of grapefruit, black currant and red berry fruit; medium in sweetness and body with flavours of rich red berries, slight candy note with hints of citrus. Explore food through the elements of fire, water, earth and air. You'll look at food in a new way after watching this series that deliciously urges you to reconnect with food and appreciate it's history of connecting humanity. Pair it with Cave Spring's Dry Riesling that goes with anything. Pale yellow colour; fresh grapefruit and pineapple on the nose with floral notes; dry, light to medium bodied, clean, citrus flavours with refreshing acidity and a crisp; a sense of sweetness on the finish. Oscar-nominated documentary, Cartel Land, gives and unprecedented look at Mexico's drug artels through two vigilante groups. This sobering and shocking film will leave you feeling confused and shaken about good and evil in a place where institutions have been broken down. Pair with Cline Zinfandel. Medium ruby colour; intense ripe, raspberry and black fruit aromas with hints of earthy, spice and chocolate; dry with generous blackberry fruit flavours and a rich mouthfeel; spicy long finish. 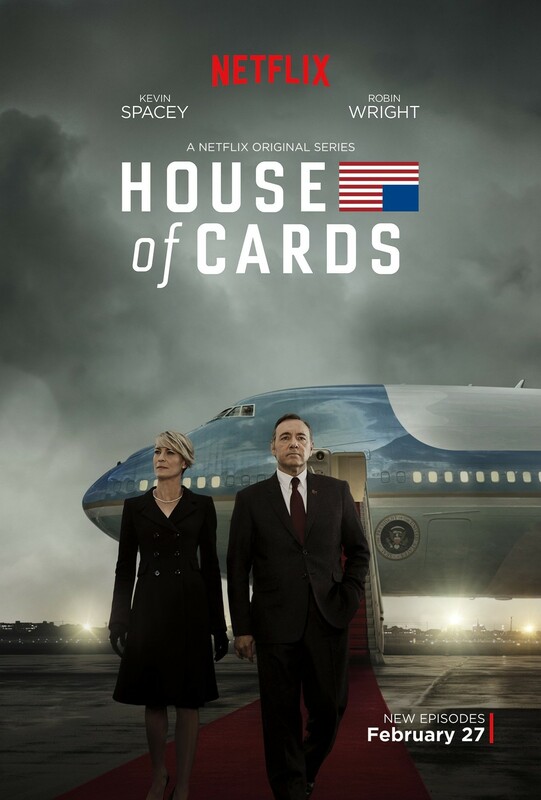 Back for it's fourth season, House of Cards does not disappoint. Political and personal drama entices you to binge watch the season as Claire's character and role deepens even further. New characters enter and old connections return as the dynamic between Frank and Claire heightens. Pair it with another aptly named wine, but no less delicious - Underwood Pinot Noir. "Underwood is fast-becoming one of Oregon’s best values in Pinot Noir. Light and pretty raspberry fruit gains mass and flavour interest with well-integrated veins of stem and earth. It’s nicely balanced and true to variety." Wine Enthusiast. Another Oscar-nominated documentary, Amy shares the story of Amy Winehouse's life and death. A complicated and tender story that tackles delicate facets of her life including family, fame and addiction; you'll appreciate the true musical genius and light Amy was. Pair with Alto Moncayo Veraton Garnacha a wine that is rich and intense like Amy. Pairing a wine with this film is not intended to make light of this tragic story or the complications of addiction. With anything in life, moderation (and safety) is key. "Sweet blackcurrant and black cherry fruit, lavender, liquorice and earth notes intermixed with a touch of new oak. Stylistically, this is a modern, massively intense, rich wine that over-delivers in many ways. However, it is not for consumers looking for shy, restrained and delicate wines." Robert Parker. What are you watching on Netflix? What are you sipping? Do tell! Enjoy these combinations, until next time.